DreamHost is a well-known web hosting provider and domain name register founded in 1997 located in Los Angeles, DreamHost provide shared hosting, managed WordPress hosting, VPS and Cloud hosting and dedicated server, the company use open-source software GNU/Linux Ubuntu for operating system, and currently host 1,500,000 website. If you’re put off by the yearlong commitment and are looking to try out Dreamhost on a month-to-month plan, be prepared to go hunting. The information related to purchasing a month-to-month plan (while available) is well hidden on their site. Don’t despair though, even if you buy into the one-year sign-up and find yourself disappointed; Dreamhost offers a super long money-back guarantee of 97 days! Now, if you were waiting for us to discuss Dreamhost’s other shared web hosting plans, you’re going to be disappointed. There is only one shared plan available on Dreamhost, making it less flexible than many of its competitors. But that one plan does boast unlimited domains, subdomains and parked domains all under one account and not many shared web-hosting sites allow that much access. Also, there is no limit to your bandwidth, disk space or email accounts (within reason, always read the fine print). Dreamhost’s control panel may leave you a little confused when you first see it, as it doesn’t follow the industry standard cPanel. Instead, so if you are cPanel fan you need to re-learn how to use, Dreamhost’s control panel it displays more like a dashboard. On the other hand, it does have a high emphasis on handy tools that actually apply to basic host owners and site creators. It’s easy to create new email addresses and it allows for quick one-click installs. But we hope DreamHost change the GUI and improve, and make the navigation easier. DreamHost Offer to their user’s 100% Uptime Guarantee, DreamHost don’t show uptime analytic record s to prove that, but searching the internet its hardly you find user’s complaints about outage or uptime issues, and one of the good thing, that DreamHost to win customer’s confidence customers will receive credit equal to 1 day of the hosting plan cost for every 1 hours of service interruption (Read the fine print ). Dreamhost does have a good knowledgebase (Wiki) and frequently asked questions’ section that can help with many issues. It also provides a forum where other users can help you with problems and concerns. This doesn’t entirely make up for the lack of phone support, but it does help ease the sting. 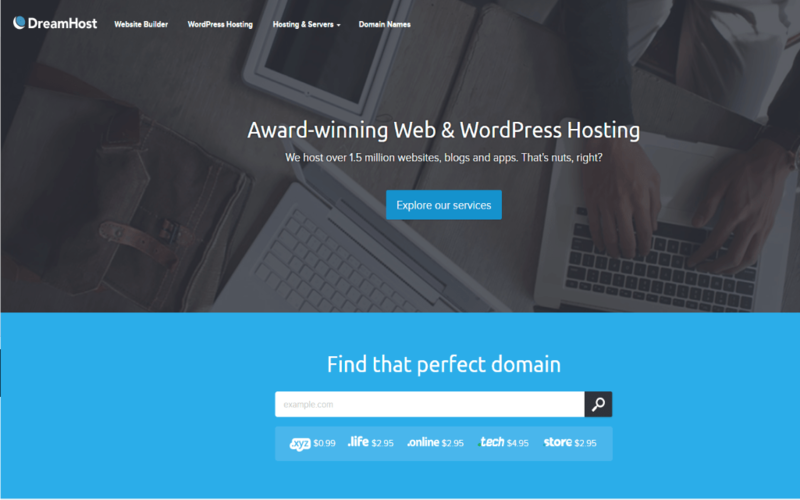 Dreamhost strikes an almost perfect balance between its features and its price, but it’s aimed at users who are familiar with website administration, even if they don’t necessarily make that clear. 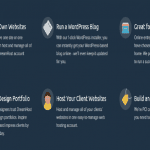 If you don’t have the tools to build your own site or don’t already have one to migrate (No Migration service provide form DreamHost) or you are cPanel Fan, Dreamhost might not be the choice for you. If however, you are at ease with website administration, Dreamhost offers great domain management tools and an insanely long money back guarantee 97-days, so you can try it out without worry.